*Birthday Celebrations: We love partying! When a participant’s birthday comes around we celebrate in style, in the company of our daily crowd. We will also remind you of your Hebrew birth-date to ensure you get an Aliyah or Maftir if so desired. *Yahrtzeit Notifications:The solemn day commemorating the yahrtzeit (anniversary of passing) of a loved one can be daunting and lonely. We aim to notify you in advance of an upcoming yahrtzeit. We are available to assist you in best commemorating the day in a meaningful manner. 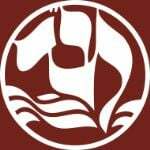 *Kadish Service: For those of you seeking a designated person to recite kadish for a loved one who has passed on, we will provide this service. *Younger Seniors (55+): now forming new group for younger seniors. To be part of it call, email etc We would like to expand our programs to a younger tier of retirees, including people in their 50’s and 60’s. We have had such functions in the past and are looking forward to expand them, so the ever-growing population of younger retirees can meet and network. Be a part of it!